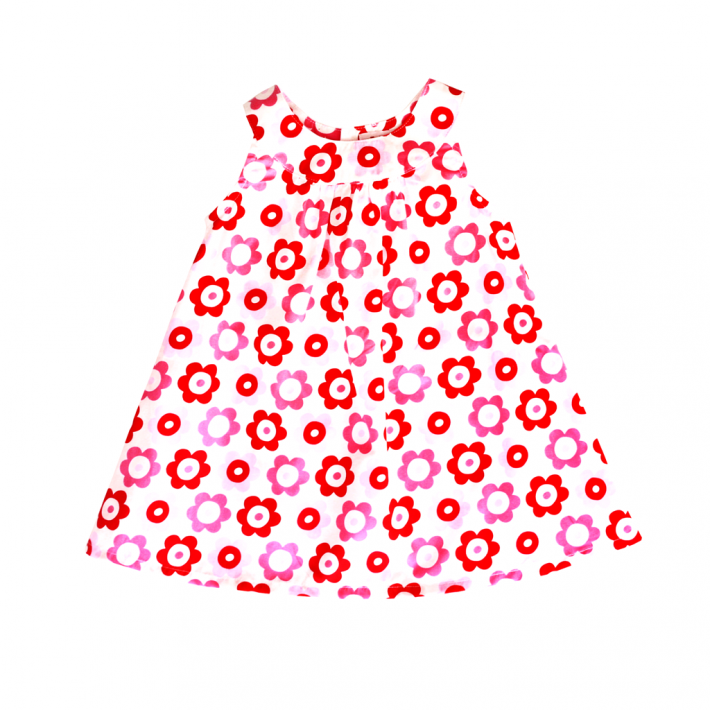 This vibrant baby dresses comes in a lovely pink and red floral pattern with a distinctive 70s vibe – perfect for those lazy summer days! The soft and lightweight material will keep baby comfortable all day and the little frilly pants look so cute on mini crawlers. Four buttons at the back to make changing easy peasy. Finish off this sweet little look and keep your little one’s head protected in style with one of our super cute reversible matching sun hats.